Apple’s various pre-release and public firmware updates have given us a lot of insight into the company’s products over the last few months. It seems that the inadvertent release of information isn’t going to change anytime soon with iOS 11.2.5 seemingly giving away information about Apple’s upcoming Siri-powered speaker, the HomePod. An image of an assets file from within iOS 11.2.5 has been shared through social media by Filipe Espósito, and immediately gives us a better understanding of some of the functionality and capabilities that will ship when the HomePod actually makes it to market. 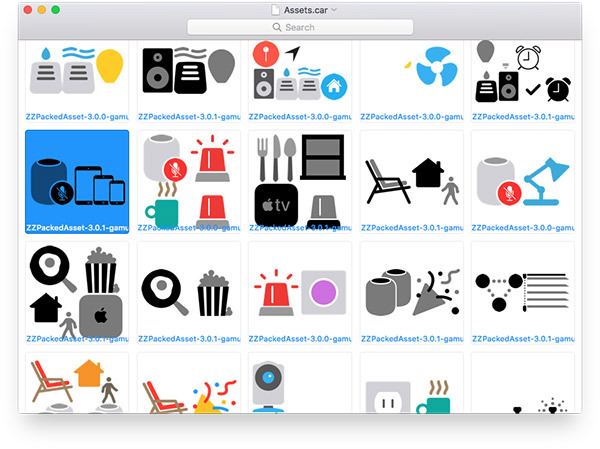 The image of the assets file shows a number of visuals which will presumably be used in the HomePod experience at one point or another, either immediately or in the future. One such asset shows a HomePod icon next to a suite of iOS devices with a Siri icon appearing to be muted. This would seem to suggest that users will be able to create scenes which allow the “Hey, Siri” functionality to be muted. Apple’s HomePod is going to be the company’s newest hardware to hit the market and will have a strong reliance on Siri. Just like Amazon’s hardware relies on Alexa and Google’s intelligent speakers make prime use of Assistant. However, one can imagine instances where a user might want to create a custom HomeKit Scene where the “Hey, Siri ” functionality isn’t activated and can’t be invoked. As an example, a scene that’s created to be activated in a part environment with loud music and alternating lights. If a HomePod owner has a multitude of people in their home, then they really wouldn’t want anyone having the ability to control HomePod with random bouts of “Hey, Siri” madness. A custom scene would allow that to be disabled. Additionally, and perhaps more interestingly, the same individual posting the glyphs and assets has also suggested that he has found strings within the codebase that would suggest a personalized experience could be given by HomePod for different people based on the input voice detected. 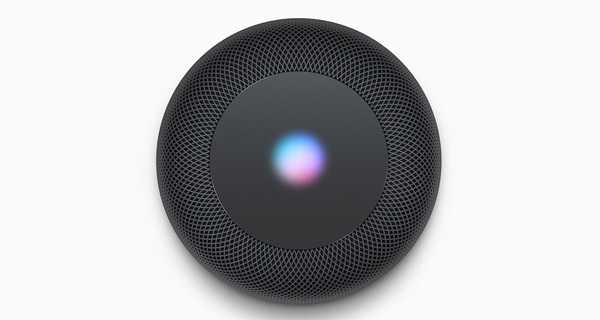 If so, that would allow multiple voices in a household to be trained to HomePod with each person potentially getting a different or tailored response to a question as Siri and HomePod learn about that person’s personality over time. It’s now early 2018 and HomePod has been granted FCC approval, so it should be only a matter of time until we can actually purchase the hardware.